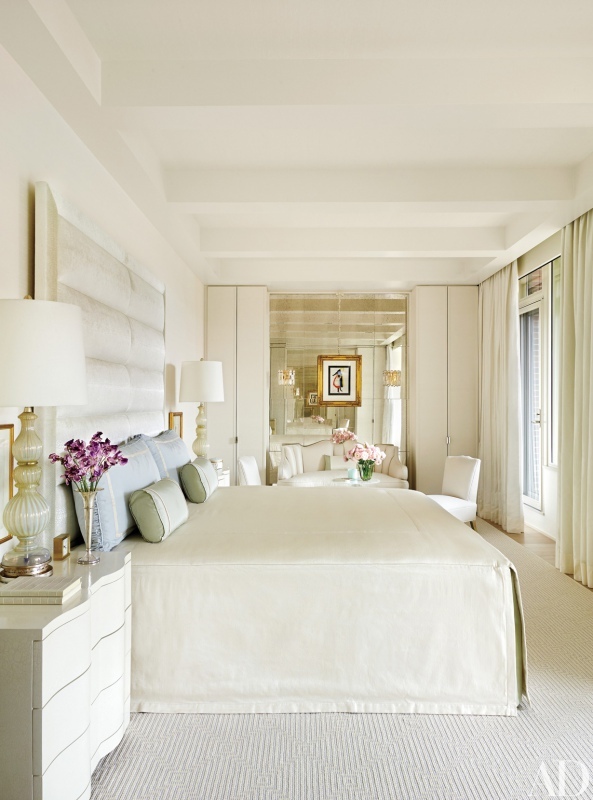 Ashley Stark-Kenner shares what she loves about the all-white bedroom in this stately Washington D.C. apartment by design firm Solís Betancourt & Sherrill, as seen in Architectural Digest. “This bedroom has a great clean monotone color scheme, yet still looks decorated. This is in part thanks to the neutral flavor of the white hue, but the lone gold painting in the background inserts just the right amount of color.